The Joseph School is laying a firm foundation of knowledge, leadership, service and faith with the children of Cabaret. Now we are laying a firm foundation for the stones and mortar of the school itself. This week The Joseph School began digging the foundation for the gate to the land you see here. This past school year, The Joseph School started with a kindergarten class of 31 students and 5 teachers meeting in a large rental house in Cabaret, Haiti. Because the Haitian government believes in The Joseph School mission, they gave TJS over 20 acres of land to build a permanent school. The government’s stipulation was that we begin and not allow the land to lie unused. Because of generous gifts from people like you, we have started with site improvements, a gate and a road. In September a new class will join the current class at TJS bringing our total student population to about 60 students in kindergarten and 1st grade. Our goal is to have the permanent school ready for these students to move into by January. To do that, we need your help. Many of you have been very generous already. Some of you have waited to give when construction begins. If you can give to help out with construction, your gift would be very timely. If you cannot, we ask you to pray for The Joseph School, its staff, teachers and students. God is doing amazing work in and through the school. We hope you will continue to be a part of this effort. It’s an exciting time for The Joseph School and we are grateful for your friendship as we are on this incredible journey to see lives changed in Haiti. A country full of hope, communities full of vision, and a school full of love. “Arriving on the six-year anniversary of the earthquake, we were humbled to visit the national memorial commemorating lives lost in the earthquake just a few short years ago. Although much sadness and destruction was brought upon Haiti by this disaster, our group experienced a country full of hope, communities full of vision, and a school full of love. While visiting The Joseph School, we took all 31 students on a field trip to the beach. Only 15 miles away from the coast, the majority of these students had never seen the ocean. The students continued to shout “bél”, which means beautiful in Creole, with excitement as we drove along the coast to our destination. The smiles on their faces as they splashed in the ocean were unforgettable. Meet Eliamise and her son, Tcharly. 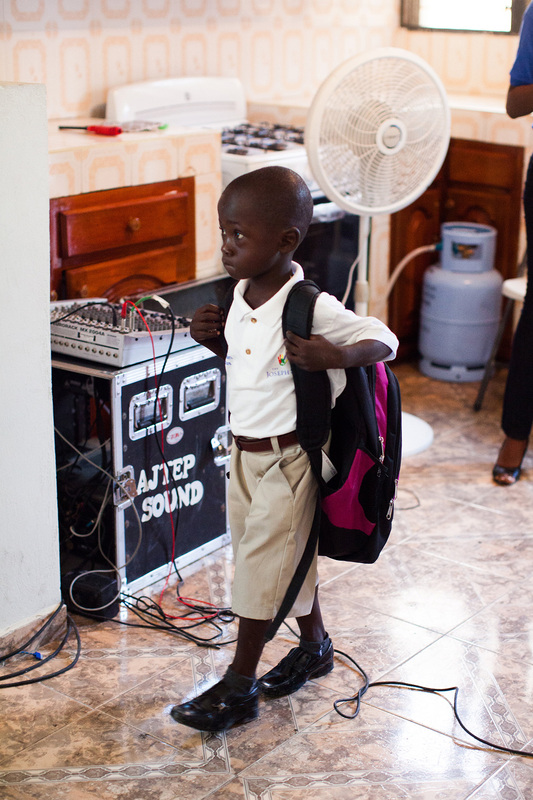 Tcharly (pronounced Charlie) is six-years-old and a student of The Joseph School. They live in the city of Cabaret, Haiti. Eliamise recently shared with us the impact The Joseph School is having on her life, her son’s life, and the life of her family. 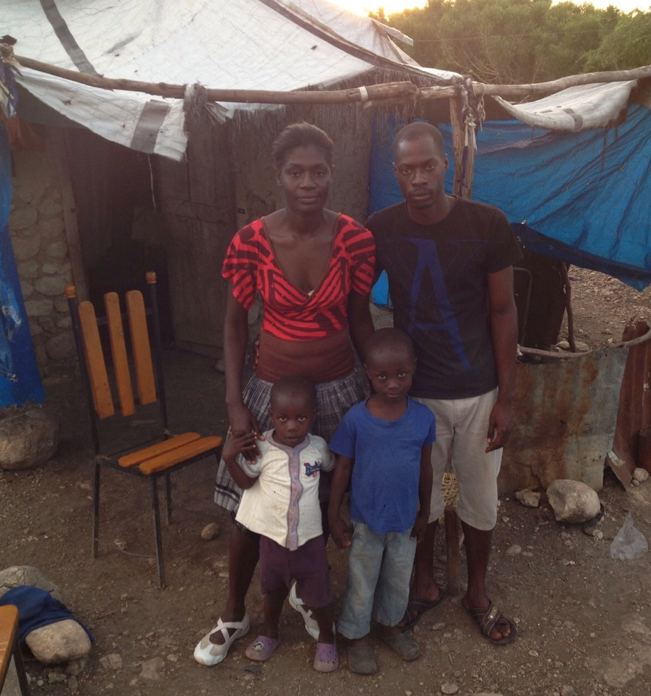 Eliamise and her family live on a rocky mountain about thirty minutes from TJS. Every morning at 4:30am, Eliamise walks nearly three miles down the mountain with Tcharly on her back so that he can meet the taptap, or bus, at 6am that takes him to school. Eliamise told us how much Tcharly had learned in the past few months of being a student at The Joseph School. “He has learned so much that he is now reading and his language is better and clear. He comes home and teaches what he’s learned to his little brother,” she said. Because Tcharly is learning so quickly at The Joseph School, Eliamise decided to go back to school herself. She stopped going to school in the eighth grade, but said, “I need to do this to keep up with my son.” After working everyday from 8am-12pm, Eliamise is taking classes from 1pm-7pm. “The Joseph School is God’s grace,” says Eliamise. She said that she would have to be the wealthiest woman to give her son the kind of education he is getting at the Joseph School. When she first learned that Tcharly would be a student at The Joseph School, Eliamise was concerned that she wouldn’t be able to feed him enough to stay focused. “Some days, I just worried about what to feed Tcharly,” she said. But then she learned The Joseph School provides two meals a day to each student. These two meals are greatly impactful for Eliamise and her family, and she says this is God’s grace. Eliamise told us that she felt like The Joseph School came to Cabaret just for Tcharly. She said it’s such a blessing for her to be a part of the school. Eliamise and Tcharly’s story is just one of many and why we work to make The Joseph School it’s best. 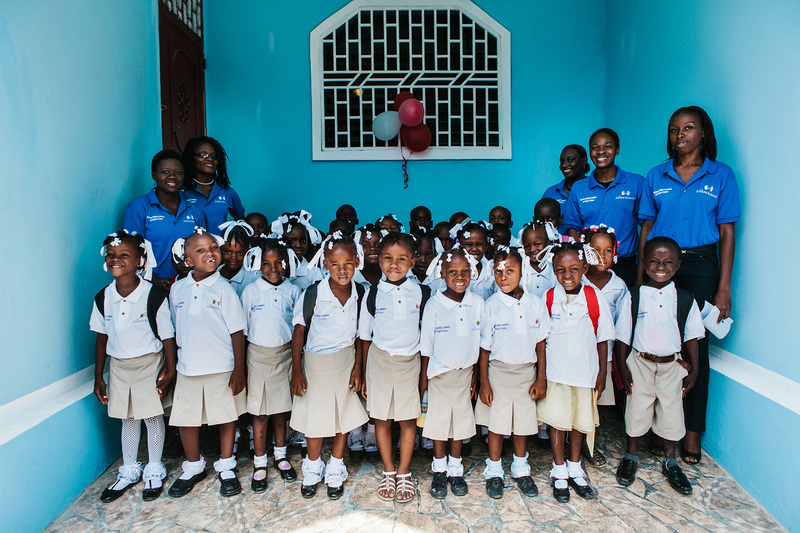 After years of planning and fundraising, 20/20 Research CEO Jim Bryson opened a school in Haiti last week, serving 31 kindergarten students. 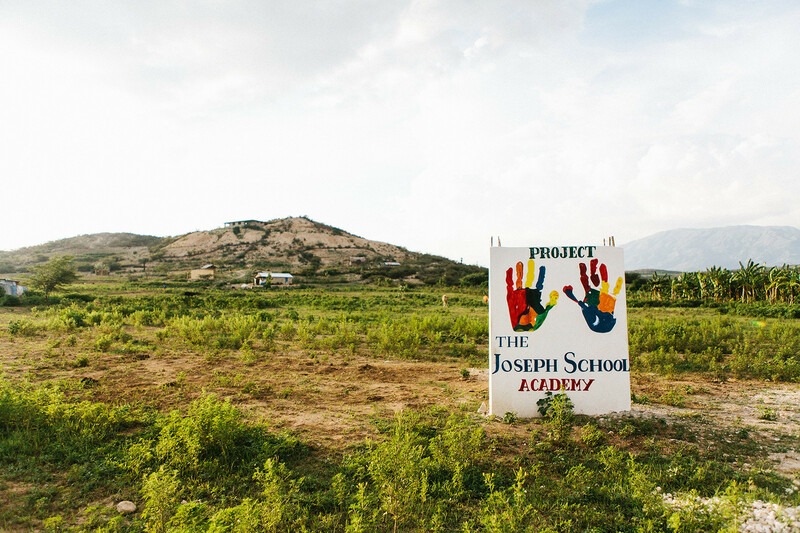 The Joseph School is near Cabaret, about 16 miles from Port-au-Prince, and the students are from nearby villages. Five Haitian teachers will lead the school. Bryson began developing plans for the school after traveling to Haiti in the wake of the 2010 earthquake. Recognizing the educational shortcomings exacerbated by the natural disaster, he began raising funds to build The Joseph School. Bryson originally envisioned the school as a secondary school for orphaned children. Instead, the school will begin with 5 and 6-year-olds and will add a grade level each year through high school. While some students are orphans, the school has expanded its scope. The school opened Sept. 21, with local leaders and several parents joining the children in their new uniforms. “We were so well received in the city of Cabaret that we got a lot of support, a lot of help,” Bryson said. The Joseph School is in a rented house, and plans are underway to build a facility, Bryson said. A day we have faithfully prayed for has come. The Joseph School has opened its doors. Teachers. Students. Parents. Neighbors. Staff. Friends. Everyone came out to dedicate The Joseph School to the Lord. 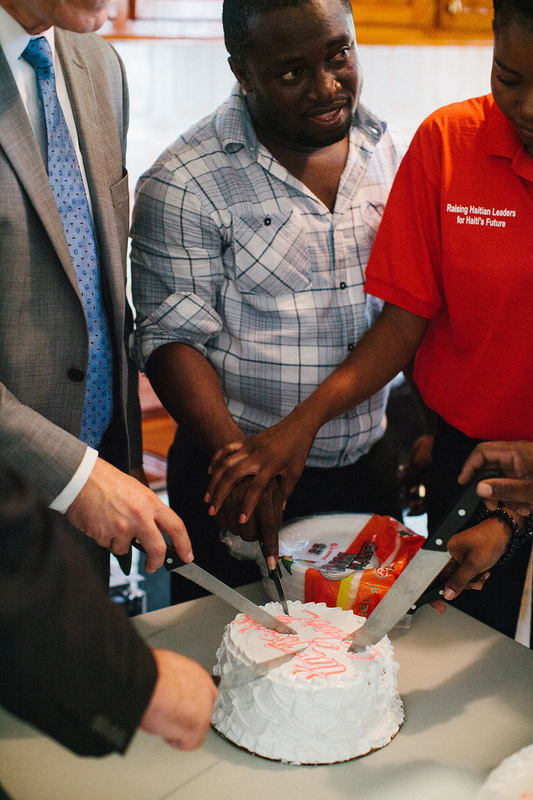 It was an exciting day for those in Haiti and for those here in the states as well. We’ve waited many years for this day. It’s been worth the wait. Fifteen boys and 16 girls all from the surrounding villages of Cabaret. Seven of the students come from the local orphanage. All have been tested and meet (or exceed) Haitian standards. These youngsters are SHARP! We’re already so proud of them. We are blessed to have some of the best teachers in Haiti: Jenny, Dallen, Sonia, Rose and Israel. Pray for wisdom and creativity as our teachers pour into the next generation of leaders! Our mutual goal is to develop Haitian servant leaders who love God and love Haiti. After a long journey, The Joseph School is opening! God has taken us many places and taught us many lessons over the past five years, but he has been faithful. On September 21st, The Joseph School will open its doors to 30 Haitian children! 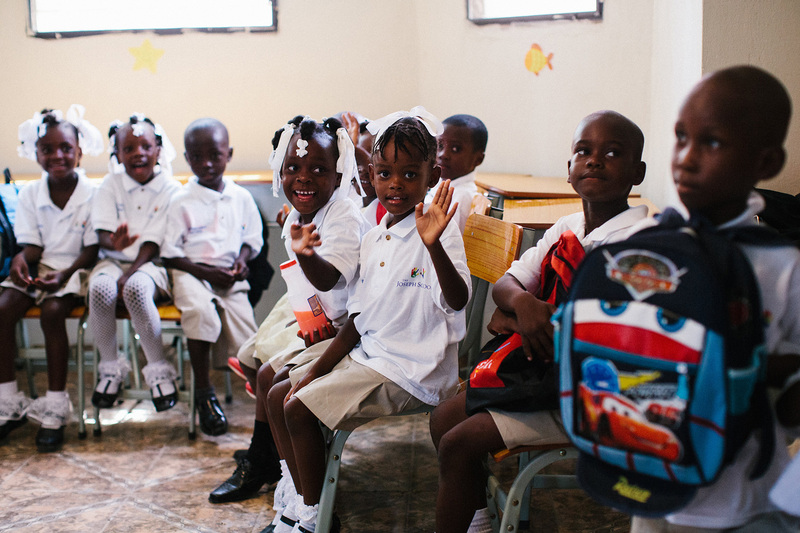 These children will begin an educational process rarely available in Haiti. Each will receive a world-class education focusing on academics, leadership, service and discipleship that will prepare them to lead and love their country. Simply being chosen as the first class of The Joseph School, they are already leaders preparing the way for the thousands to come behind them. After five years of work, planning, travel and praying, opening day is almost here. Getting to this point has been a story of God’s provision. We accepted the vision for The Joseph School in the fall of 2010. First, God took us to Thomazeau where we met Bobbie and Lourdie Toussaint. We came to love them and the children at their orphanage, Children of Hope. Bobbie and Lourdie loved The Joseph School vision and wanted to help. In 2013, they took us to Lourdie’s hometown of Lascahobas on Haiti’s Central Plateau where Lourdie offered to give The Joseph School land to establish the school. In the spring of 2014, The Joseph School Board of Directors began praying for God to open The Joseph School in 18 months, September of 2015. Immediately, things became difficult. That summer, our ownership of the land was challenged and became mired in the Haitian legal system. We were forced to stop development while the legal process ground to a halt. Even so, we kept praying not knowing how God would answer. In the fall of 2015, we asked our supporters to pray with us. People prayed. In April, we upped the ante again. We asked our email group to fast one meal on the 15 th of the month from April to September and pray for God to open The Joseph School in September. The week that email went out, God moved. Jean Bildad Michel is a Haitian citizen completing his education at Cumberland University. In mid-April, he walked into my office and said, “I want to do something meaningful to help my country. I believe in the mission of The Joseph School. I believe God is calling me to help and I think I can make it happen in September.” I was stunned. After many discussions and much prayer, The Joseph School Board of Directors voted in May to send Bildad to spend the summer in Haiti preparing to open school in September. Bildad returned to his hometown of Cabaret to prepare for opening a school. The Lord blessed him with volunteers and friends who helped him make the preparations. The City of Cabaret pledged to give The Joseph School about 40 acres of land. Bildad was able to rent a large house that would serve as a school and as a guesthouse for visitors. He found talented teachers who can help with the school’s founding. God blessed him greatly. On August 11 at 8:11 a.m. the Board of Directors of The Joseph School voted to open in September, 2015. Right on time! God answered our prayers from the last 18 months. He did not need a lot of time to start a school. He waited until the time was right. The journey has been long and the path has not been straight. But God has been with us all the way. As we make final preparations for the long-anticipated opening, we know God will continue to be with us in the months and years ahead. We are more convinced than ever that The Joseph School vision is his calling. We are grateful for his faithfulness. Thank you for your faithfulness in this journey as well. It has not been easy. The path has not always been clear. But we have arrived on the threshold of opening. This time is made all the more exciting by the difficulties overcome to get us here. I’m looking forward to sharing more about The Joseph School in the exciting days that lie ahead. Please continue praying. God answers prayers…and it may not be in the way we expect. Bondye Bon. God is good.